Just in time for E3, leading gaming headset and audio accessory company Turtle Beach has officially announced a slew of new gaming headsets headlined by the Stealth 700 and Stealth 600 wireless gaming headsets. The more premium of the two new headsets, the Stealth 700 features a sleek design that utilizes headband and ear cushions wrapped in synthetic leather. 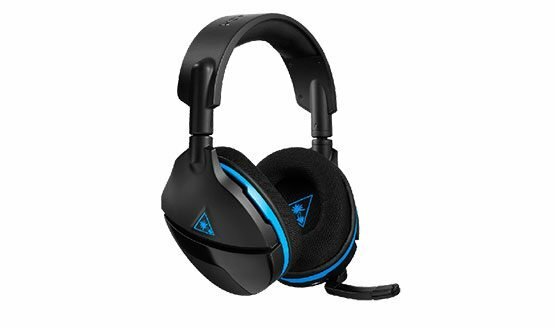 It also features DTS Headphone:X Surround Sound technology, active noise-cancellation, as well as Bluetooth connectivity, allowing it to be paired with a Bluetooth device even while connected to the PS4 and used with the new Turtle Beach Audio Hub app where the headset’s settings can be adjusted on-the-fly. The Stealth 700 also comes with independent game and chat volume control as well as Dynamic Chat Boost, which automatically increases incoming chat volume relative to gameplay sounds. According to Turtle Beach, the Stealth 700 is rated to have a battery life of up to 10 hours. As for the Stealth 600, it features a similar albeit more subdued design to the Stealth 700 and utilizes mesh fabric instead of synthetic leather on its headband and ear cushions. It also uses Turtle Beach’s own Surround Sound technology for virtual surround sound audio and is said to have a battery life of up to 15 hours. Both the Stealth 700 and Stealth 600 feature 50mm drivers and a flip up microphone. They also both feature Turtle Beach’s array of proprietary technologies including its ProSpecs Glasses Relief System, which make wearing the headsets while donning eye glasses more comfortable, Superhuman Hearing, which amplifies subtle in-game sounds like footsteps to give players a tactical advantage. Both headsets also come with a wireless USB transmitter that connects directly to the console. The Turtle Beach Stealth 700 and Stealth 600 are scheduled for release sometime in September 2017 but both are already available for pre-order at the Turtle Beach website with price tags of $149.95 and $99.95, respectively.